The Human Rights Institute of South Africa (HURISA) will use this occasion to launch the Reprisal Resolution adopted by the African Commission on Human and People’s Rights. The Reprisals Resolution seeks to document the targeting of human rights defenders and everyone living in the country who participate in public affairs. This year’s commemoration coincides with the African Union Theme for Human Rights with a Special Focus on Women’s Rights. It also coincides with the 10th Anniversary of the African Youth Charter. This requires a reflection on progress made in the promotion and protection of human rights in the country. The event will take place at Sunnyside Park Hotel, 2 York Road, Parktown, from 17:45 – 20:00. The speakers include Arnold Tsunga, Human Rights Defender, International Commission of Jurist; Africa Director; Aubrey Lekwane, Human Rights Defender and previously with Lawyers for Human Rights; Sheila B. Keetharuth, Human Rights Defender, Member of the Working Group on Extractive Industries, Environment and Human Rights Violations of the African Commission and UN Special Rapporteur on the situation of human rights in Eritrea. For further information please contact Funeka Manzi, Information and Advocacy Officer. Win the chance to present at a conference in Rwanda! Comments Off on Win the chance to present at a conference in Rwanda! 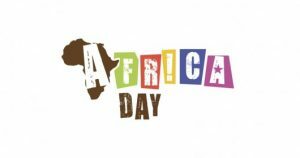 2016, marks the 10th Anniversary of the adoption of the African Youth Charter. The State of the Union Coalition (SOTU), a coalition of African civil society organizations, seeks to commemorate the achievements and progress made since its implementation. SOTU recognises that Africans should be given the chance to tell their story as a means of raising awareness about the realities and successes in their communities, but also to inspire future generations. Consequently, HURISA, through its SOTU programme, is committed to raising the voices, perspectives and interests of Africans to contribute to the knowledge and understanding of what human rights means in their communities. This is done through providing a platform to collate the information, ignite public debate and mobilise citizens for social action, through an interdisciplinary writing competition. Submit your original research articles, opinion pieces, essays, short stories, poetry, and any other writing, art work including pictorials that illustrate and shed light on human rights issues from an African citizen’s perspective focussing on youth. If your submission is selected, you will be invited to film yourself doing a short presentation of you piece. after which the winner will be selected. The top 5 entrants will get to travel to Rwanda to present their piece at the Continental Youth Forum, which will bring together over 500 participants from the continent for a commemorative celebration of the 10th Anniversary of the African Youth Charter. All travel and accommodation expenses will be covered by HURISA. The top 20 shortlisted entries will be included in a publication to be printed and distributed by HURISA. Freedom of expression, Freedom of Assembly, Freedom of Association. Poetry/Creative non-fiction (true stories) 80 lines max for poems and 2,000 words max for true stories which reflect life in Africa and/or the theme of human rights. Academic articles should be between 4,000 and 8,000 words, including footnotes and should present original findings, analysis and arguments. Essays and Short Stories should be between 2,000 and 4,000 words including all footnotes. Opinion Articles should be between 1,000 and 2,000 words and offer a more reflective and opinionated piece. Must have valid SA passport. The subject line of email should read “Call for Papers – 10th Anniversary AYC” with the entry attached. All entries should be written in English. HURISA editorial policy avoids commitment to any political viewpoint or ideology, and commits to fair examination of thematic issues that may draw controversy to promote a deeper understanding of the state of human rights in Africa, compliance to AU instruments by African governments today and how this can be improved across the continent for the ultimate benefit of African citizens. The decisions of the editorial committee are final and no correspondence will be entered into. Articles, essays and short notes will be blind peer-reviewed and feedback provided to the contributors via email to improve the contribution. All submissions will undergo editorial review for language, brevity and in accordance with house style. HURISA reserves the right to determine the number of abstracts accepted in any of the categories. Submissions must be original work and contributors must own all rights. The submissions must not have been previously published elsewhere. If photos, images or illustrations are submitted to complement the piece then it is the responsibility of the writer to ensure that s/he makes appropriate attribution and does not infringe on the privacy rights or any other rights of any person. Each contributor retains copyright in their respective pieces. However, each contributor grants HURISA first publication and licence to feature the entire contribution in any and all publicity. We will credit the contributor but will not seek permission to reuse a piece after first accepting and receiving it. HURISA will facilitate the printing, coding, launch, and dissemination of the publication in line with the HURISA Communication and Research Dissemination strategies.